We are open Monday to Thursday from 12pm to 10pm, Friday and Saturday from 12pm to 10.30pm and Sunday 12pm to 9pm. Located in the heart of Dublin city centre, overlooking the River Liffey the Morrison Hotel is a central location for Dublin weddings, conferences & meetings. It is surrounded by Ireland's premier shopping districts, a variety of popular Dublin Bars, museums, theatres, the 3Arena and visitor attractions such as Guinness Storehouse. We had an absolutely wonderful time at afternoon tea. The food was delicious and we got a special chocolate bunny for Easter, which was a nice touch. An excellent dining experience with superb food and attentive service. I would highly recommend the Morrison Grill. The staff go that extra mile for you so that you enjoy the experience. Fab afternoon tea we really enjoyed It. Our tea experience was lovely. The food was delicious. Myself and some friends went for gentlemen's afternoon tea. I have been a few times before and it's been delicious everytime! Would highly recommend for anyone looking for an alternative to regular afternoon tea! We love the restaurant and ambience staff are lovely but your wine list is prohibitively pensive. There should be at least one good value house wine option. We are a group of five who meet for lunch regularly but we find the wine bill is too high. Staff were extremely friendly, service was quick, and food was delicious. We were here on mother's day and expected it to be very busy and feel rushed but it wasn't the case at all, we had a great time and would definitely go again. 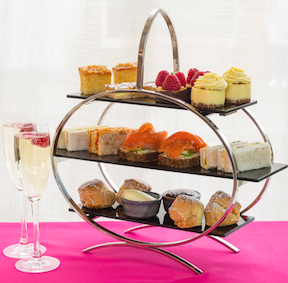 The Gentleman's Afternoon Tea is a great idea that is very different to the norm. Had a lovely afternoon at the Lindt afternoon tea. Thoroughly enjoyed the experience, food was delicious and staff were extremely friendly and attentive. Lovely mothers day afternoon tea. Would highly recommend, and a nice complementary gift at the end. We had an amazing experience! The staff were fantastic, the food was amazing and the hotel itself is beautiful. I wouldn't hesitate going back here for a second! The service was AMAZING! The staff were so friendly and helpful and they really made our day. Thank you! The service was extremely skow and sksp dash..our server was so young snd cherrful we didn't complsin but we eouod have soent a lot more money if your servers were on the ball...emoty glasses for iver 20 mins on two occasions and iur table was not properly cleared even ehen we asked for it to be done...if you think we eere a nightmare table believe we were not, just lots of codes of service not observed...we were delighted and appreciative we had our tabe longer than the allotted 2 hours as the atmosphere was great. Disappointing Lindt afternoon tea experience. I would class it as...fine. Nothing outstanding about the whole experience. There was one server who did her best, she was clearly run off her feet. The atmosphere was noisy, and very busy which was to be expected however when the afternoon tea itself was dropped at our table it was literally just dropped, No explanation of each tier etc. It was the Lindt afternoon tea so we were expecting very delicious treats but they were just ok. Would not go back, would not recommend. It was €37pp with a glass of prosecco....my advice, go to the Westbury, spend the extra and for €55 have and an outstanding afternoon tea experience with a glass of champagne. We went for the Lindt Mother’s day afternoon tea. I could not fault it so tasty so much so my husband wants to go back to try the gentleman’s afternoon tea. Service was a little slow and they forgot part of our other but it was the day before Mother’s Day and it was extremely busy so i understand these things happen. It won’t stop me from dining there again. Afternoon tea was fabulous. Definitely recommend it. We had the best day for afternoon tea. The staff went above and beyond. It was my second time having the afternoon tea @morrison although we have had a good time there we weren't very happy with the menu. The sweets especially the chocolate mousse and the brownie were too sweet. Nobody couldn't finish them. Very poor value for money. We both had the Morrison Burger served with Mcdonald type chips. It was totally without taste. Dine somewhere else. Lovely afternoon tea event put on for mother’s day! Amazing food and service.